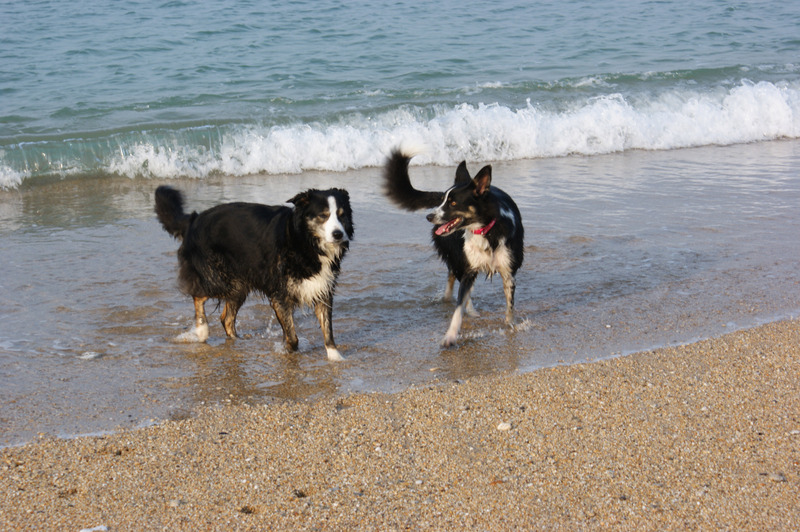 On the beach … with the border collies! 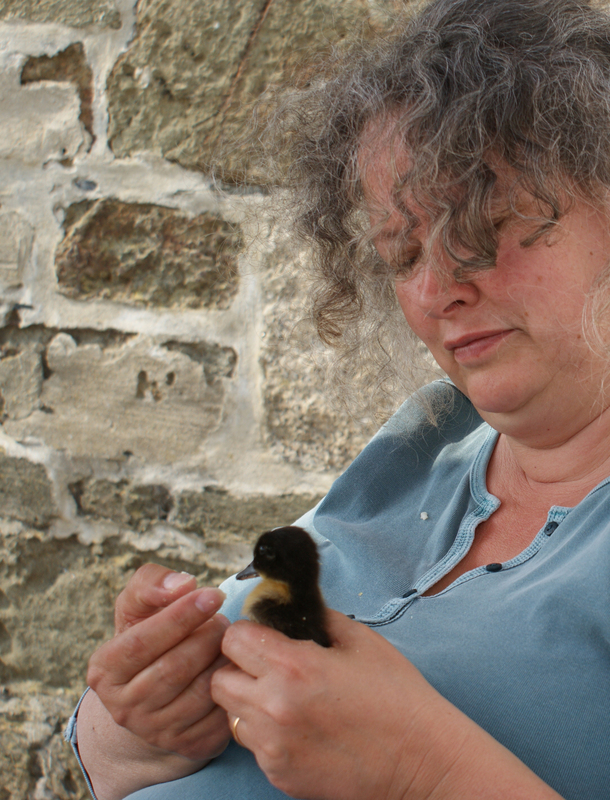 The weekend has passed all too fast, and now we’re back home with our extra little creature – yes, Flora Puddleduck has come home with us! She’s growing every day and I’ll show you some photos tomorrow, but haven’t unpacked the camera yet! 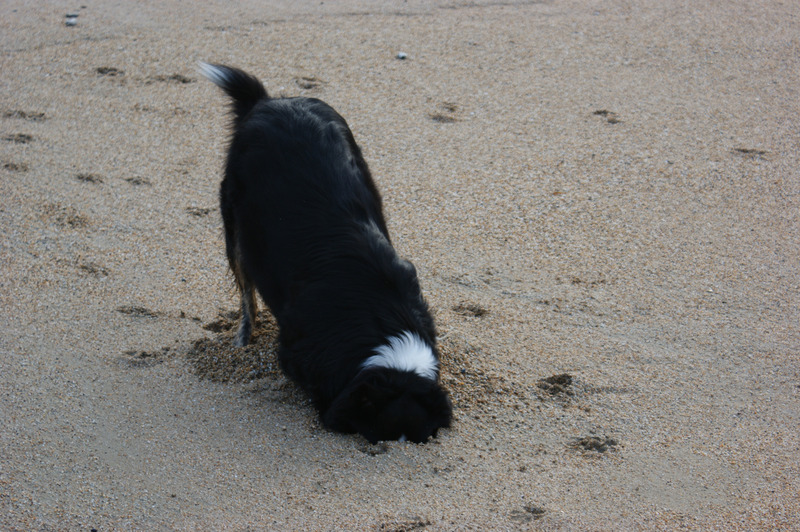 I know it's in here somewhere! Need a bit of a rest! I still can't see it! On this particular morning, there was a shoal just offshore. The gulls were busy – black backs and herring gulls with last year’s youngsters; I counted 20 cormorants and then a pair of gannets joined in too! Their diving is amazing – like scimitars entering the water. 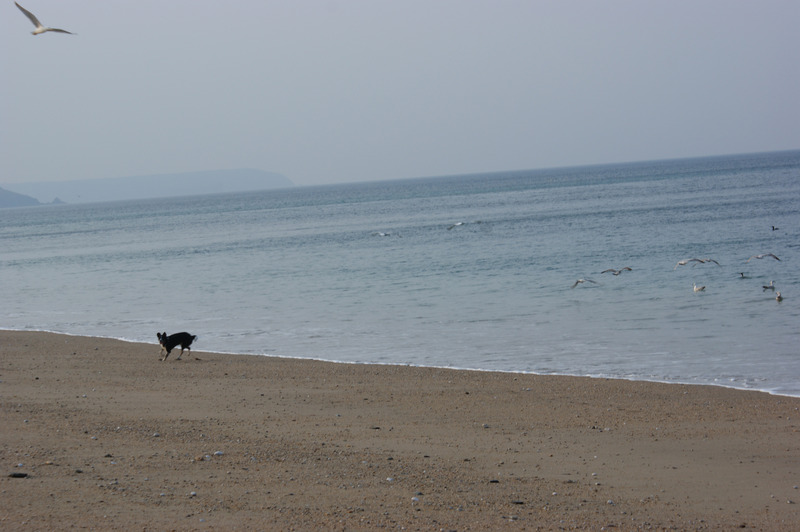 Then as they surface, the gulls mob them to try to steal their fish! I said I needed a zoom lens just the other day, didn’t I? 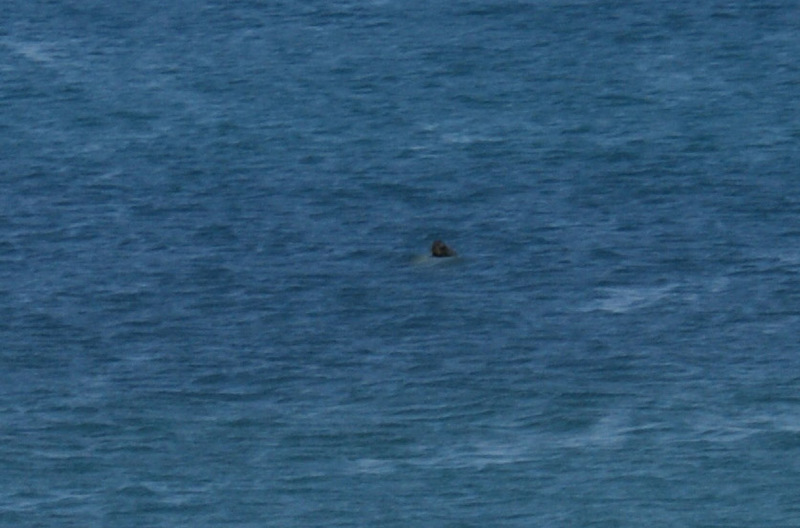 Lots of sea and the seal ‘having a nose’ at the morning sun! 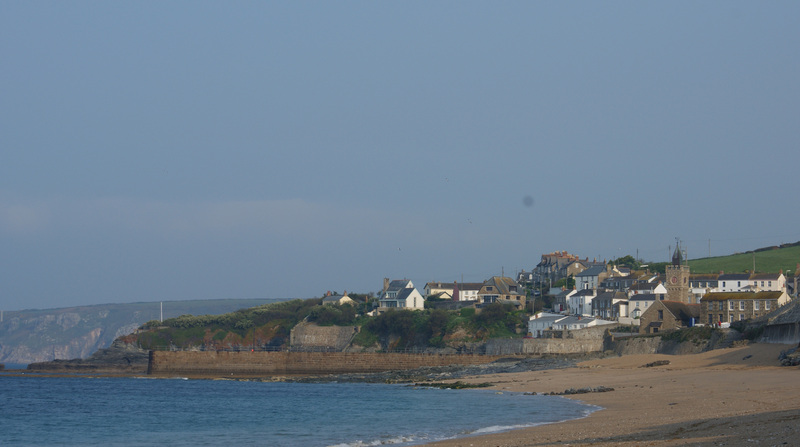 Porthleven on the last day in April! Can’t wait to go back again. 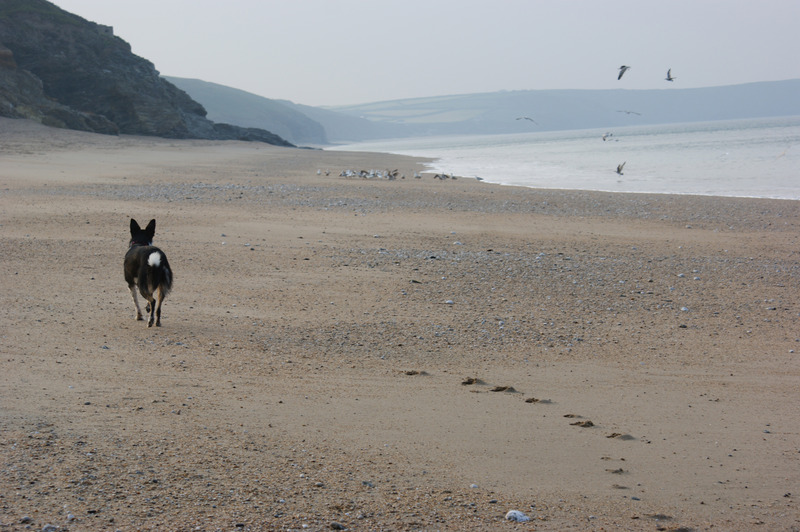 It’s a very special place for us, and our collie dogs! 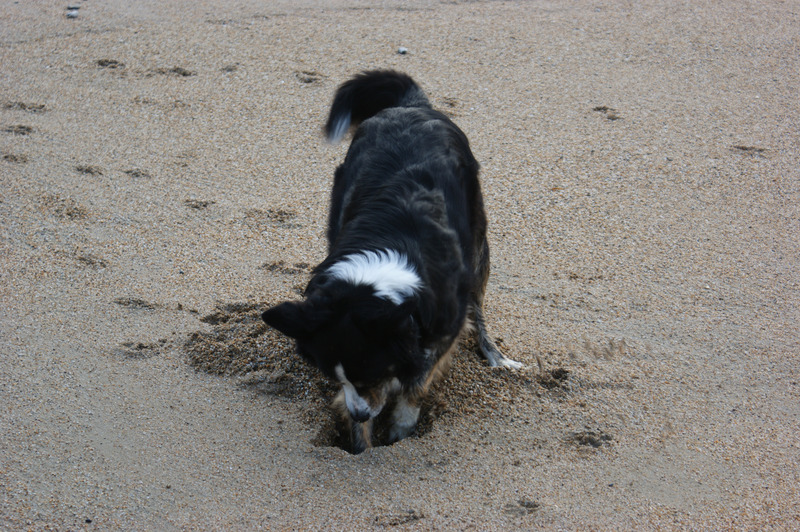 She’s doing really well and has a voracious appetite. We set off early this morning so that I could get to Scats to buy her chick feed and a playpen! She’s growing every day and I think I’ve been officially adopted as her ‘Mum’! She may just have to keep her own blog – what do you think? 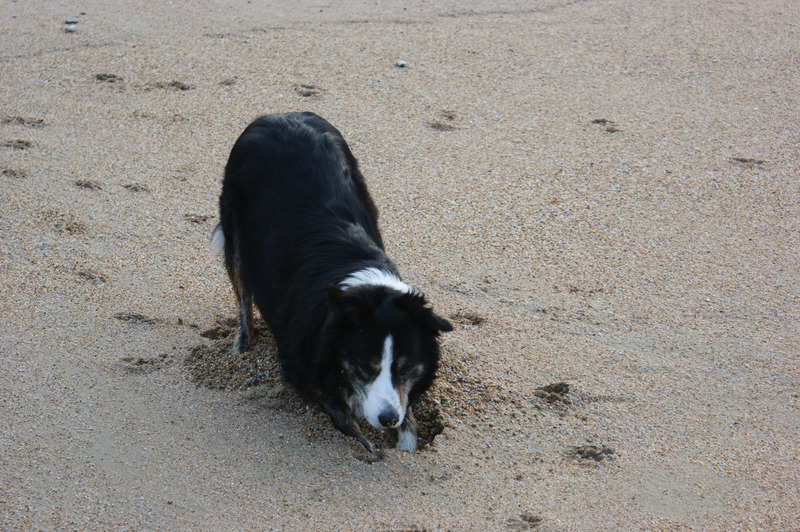 You are currently reading On the beach … with the border collies! at Adaliza.